Visitation will be held on Monday, August 28, 2017, from 5 – 7 p.m. CST, at the First Baptist Church of Milton, located at 6797 Caroline Street, Milton, Florida 32570. Funeral Services will be held on Tuesday, August 29, 2017, at 1 p.m. CST, at the First Baptist Church of Milton. Following the service a reception will be held at The Grand Marlin from 4 - 9 p.m. CST, located at 400 Pensacola Beach Blvd, Pensacola Beach, Florida. 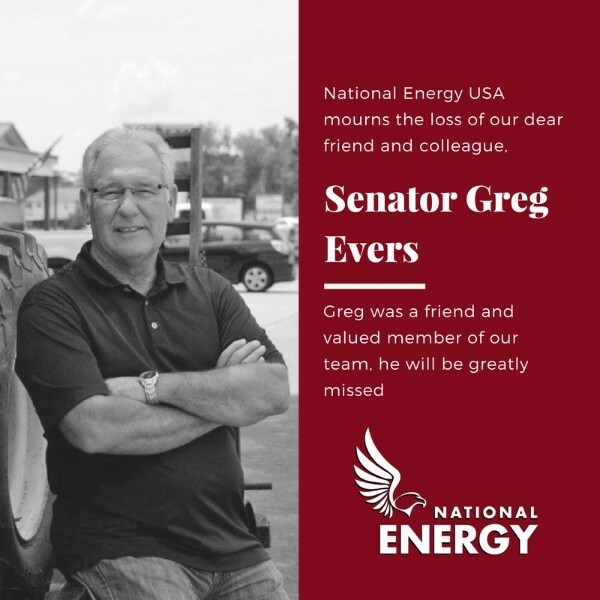 In lieu of flowers, the family is asking to honor the memory of former Senator Greg Evers with a donation that salutes Florida’s fallen heroes. To donate, please visit http://donate.oad.us/greg-evers-florida-hero-memorial-fund.html. For more information regarding visitation and funeral arrangements, please visit http://www.lewisfuneralhomes.net/book-of-memories/3076076/Evers-Robert/service-details.php.